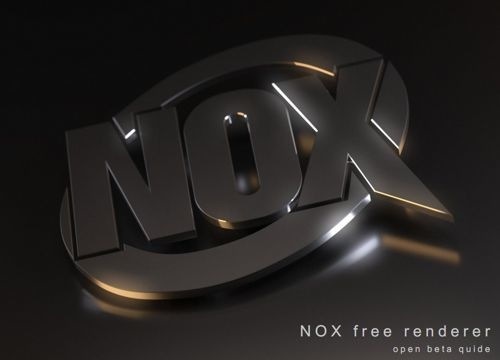 A new render called NOX was announced a few days ago and the company behind it is Evermotion, a well-known portal dedicated to architectural visualization based mostly in 3ds Max and V-Ray. Their renderer NOX is an unbiased render engine that can create realistic images based on the metropolis Light Transport algorithm. According to the description of NOX, this is a CPU only renderer, which could make it take quite some time to render images. The renderer is in open beta now, and anyone can download and use it for free. And along a plugin to export scenes from 3ds Max, NOX has an exporter for Blender 2.5. To get the exporter for Blender, just download the zip file with NOX at their official web page, and the scripts will came with the zip. Unfortunately NOX is a windows only application, which will make me take some time to be able to test it, since I will have to install it at the college to test the renderer. If you want to give it a try, go ahead! To be able to download NOX you must be a registered user at Evermotion. Allan, thanks for this useful post. Was the installation straightforward? I downloaded the zip, extracted it and put it where I thought it should go, but it does not show up when I run Blender. I’ve posted to Evermotion’s forum but have not got a reply yet. James, you need to copy the blender folder from the extracted zip file to the blender add-ons folder !